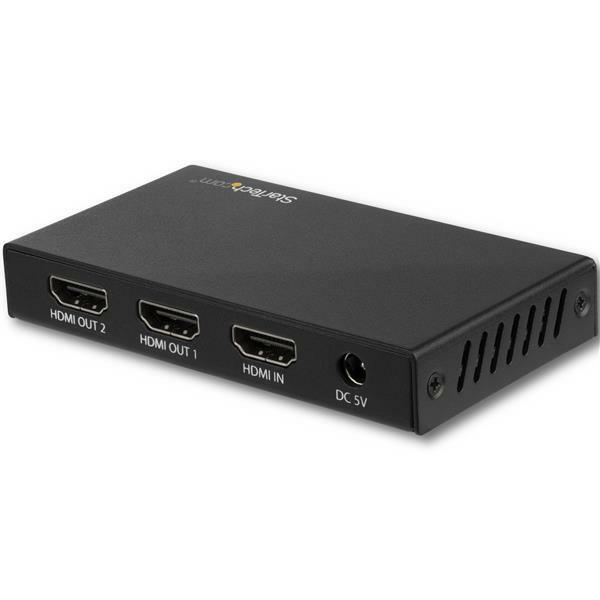 This 2-Port 4K HDMI splitter connects your HDMI video source to two HDMI displays at the same time, without distorting or degrading your video signal. For dependable performance, the splitter features a durable metal housing that provides passive cooling. With transmission bandwidth up to 18Gbps, this HDMI splitter is fully compatible with your HDMI 2.0 equipment, supporting UHD resolutions up to 4096x2160 (4K) at 60Hz. For smooth video and color transitions, the splitter offers 4:4:4 chroma subsampling, so every pixel gets its own unique color. The splitter also supports High Dynamic Range (HDR) imaging, offering a greater luminosity than standard digital imaging. 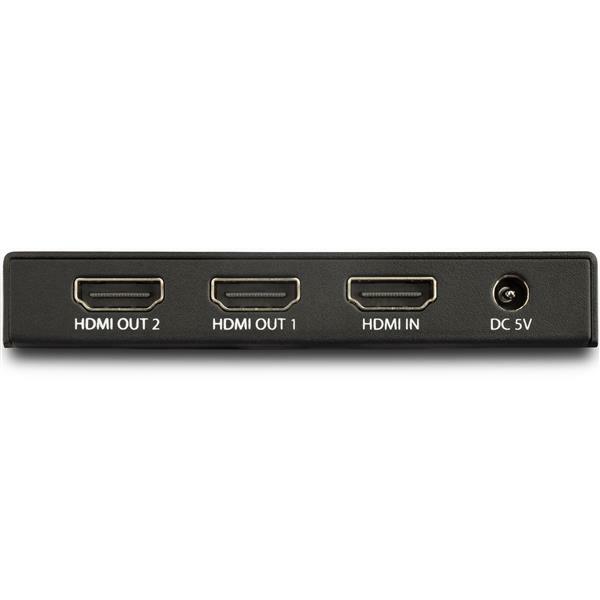 The 2-way HDMI splitter supports HDCP 2.2 and is backward compatible with 4K 30Hz and 1080p displays. This ensures that it will work with almost any HDMI source, or destination device such as computers, Blu-ray players, monitors, TVs and projectors. 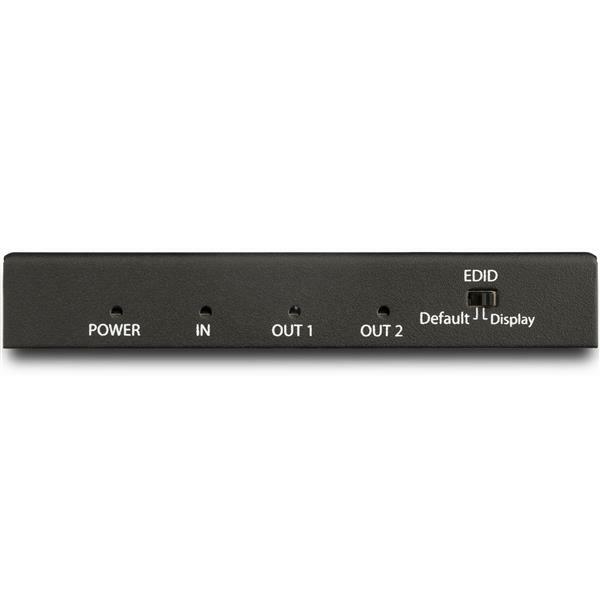 Perfect for digital signage applications, where equipment may vary throughout your site. 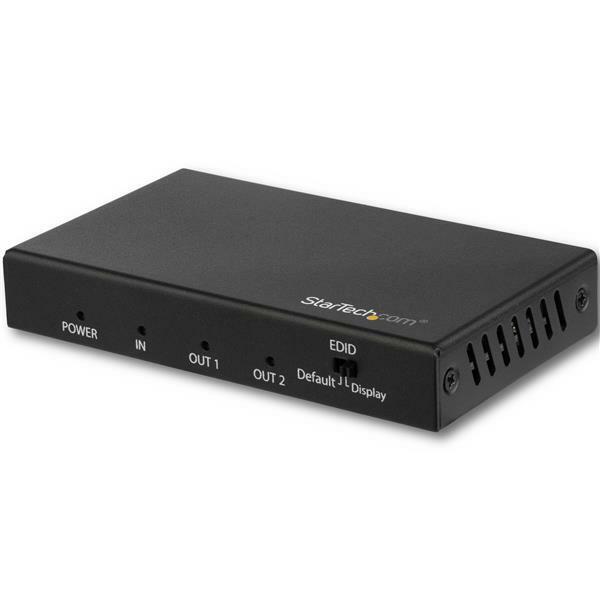 For hassle-free setup, the 1x2 HDMI splitter offers easy plug-and-play installation. The splitter also saves you setup time by automatically passing EDID between your video source and the display attached to port 1, ensuring settings like native resolution and refresh rate are configured properly. ST122HD202 is backed by a 2-year StarTech.com warranty and free lifetime technical support.